When it comes to ceramic coatings, many companies make claims of how durable and long lasting their product is. But one of the most common questions I receive is, “Will this really prevent scratches like they claim”? The answer to that is yes, in a way, but companies take the… political approach on exaggerating that. No coating will prevent rock chips, prevent a key scratch, etc. A clear bra is almost twice as thick as the thickest coating claim, and the only way to prevent damage is for the sacrificial layer (clean bra or coating) to absorb that impact. The claim of 10H Hardness is a little misplaced as well as it is not stated upon which scale, so many think to the more commonly know Mohs scale, which would mean it is as hard as a diamond. While that would be amazing, it is tested on the Pencil Hardness scale, meaning it is as hard as the most durable pencil lead. Still durable don’t get me wrong, but that deliberately left out piece of info can be pretty misleading. So how does it prevent scratching? In a very specific way. 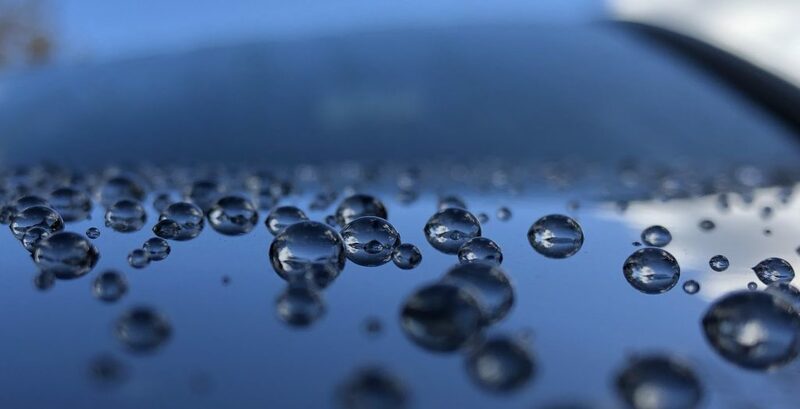 A ceramic coating will make the surface of the paint extremely slick and create high water contact angles. 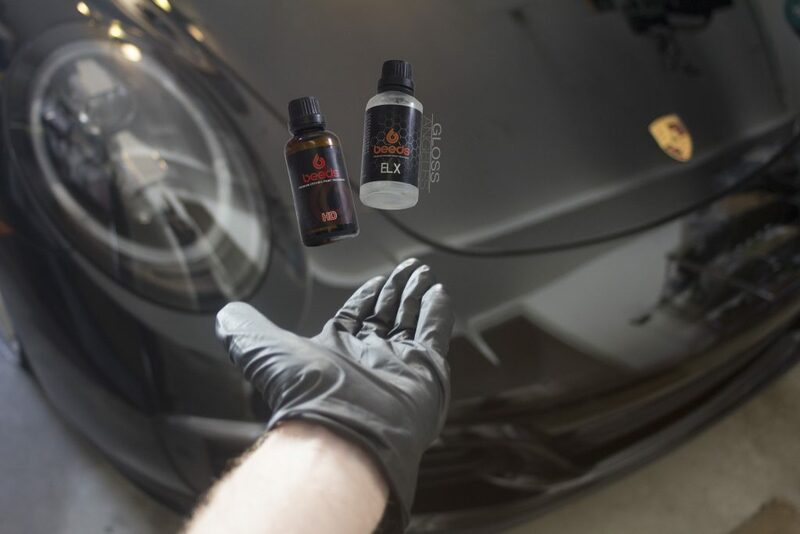 What this does it allow the dirt and debris on your paint to be less embedded in the paint, meaning it takes less effort to remove, thus less chance for that debris to damage the paint when removing. Also, less debris will stick the paint overall, again reducing the change for scratching. So does it help prevent scratching? Yes absolutely. But the key work is help. Coatings are still an amazing protection option for your vehicle but they have their place and their limitations. 8 comments on Will a Ceramic Coating Prevent Scratches? Thank you for the post. Would you also add improper washing techniques to the list of concerns for scathing a coating? Thank you for clearing the air. Too many people are selling this product to consumers improperly! Claims of hardness, scratch resistance and such are, IMO, way over-marketed with coatings. While they may provide some minor resistance to light marring, it’s a harsh world out there and many things (jewelry banging paint around door handles, boxes hitting trunk areas while loading, leaning on hood of vehicle with grimy sweatshirts, etc) *will* leave a mark. Problem with coatings is the only way to remedy those marks/marring is to re-polish (removing coating) and re-coating that area, generally an entire panel as many coatings don’t lend themselves well to spot fixes. If you’re horribly OCD-ish about having a totally defect free car for 2 years, a full-on coating may not be the best way to go…or a ‘lighter’ coating like Gyeon CanCoat may be more appropriate. In any event, despite the claims of “Diamond Infused 10h hardness…” (one of my favorite claims) someone whacks your coated black Honda with a purse or leans on it with a dirty sweatshirt, sadness ensues. Coatings are great (I’m an avowed coating junkie) but they are certainly not everything many market themselves to be. With the recent influx of consumer ‘spray coatings’, some of which note “9H” on the label, there’s gonna be some disappointed users out there in the coming year. Perhaps if more verified and tested consumer-available ‘limited self-healing’ coatings come out, the focus will switch from the current (pointless) fascination with hardness. I’m gonna give one a try next week and see how it goes. While I don’t expect it to fix the same kinda scratches that taint a coated vehicle, if it can deal with the very light swirling one accumulates over 2 years despite careful multi-bucket washes, that’ll be good enough for me. Hope for the best, plan for the worst. I don’t understand all the negativity over coatings? If you catch a sale a bottle of GTechniq’s Crystal Serum Light is only a little over $52. No it’s not some invisible force field that’s indestructible. Common sense should apply that a liquid coming from a bottle for only $52 is going to magically protect your vehicle from damage. What coating are is waxes or sealants on steroids. Coatings hold up for several winters of salt laden roads where waxes and sealants are gone in days. Bugs and tar removal is far more easier. General cleaning maintenance is made phenomenally easier and in my opinion the gloss is far superior that it gives after polishing over waxes and sealants. Coatings more than deliver value for their price. The negativity is not against coatings it is against coating marketing. Don’t over promise should be the motto instead the hype machine jumps out front with claims of “10h and scratch proof”. Then you get the coatings that have “warranties”. Warranties are like TOS agreements, no one reads them. Basically the warranty is a warranty against the coating falling off the car onto the ground. If a coating offers a warranty you should look for a different coating because they are not being honest with you and are “giving” the customer nothing but false hopes. I love coatings and they are getting better every day. Right now a coating protects your clear coat better than any wax or sealant. Just go in to owning a coating with your eyes open and know marring and scratches are going to occur before the coatings life is over. Buying a coating because it is rated for “8 years” or something similar is not what you should be doing. Any coating will last 8 years wrapped in a bubble. You can buy a coating for $2 or one for $500. What’s the difference? Raw materials? Manufacturing techniques? Bragging rights? A pretty bottle? I’m not saying all coatings are the same, but put your money into getting your paint looking perfect before applying any coating and you will be happier. Prep work is the key to happiness, not spending more on a coating that is going to get scratched as soon as you wash it. I too love coatings but the claims being made by some are down right crazy. Not all, some. Then try to explain to someone who is told of these claims of being scratch proof and never having to wash again…Yikes! The Pencil Hardness test employs various graphite pencils of varying hardness to determine the h-hardness measurements. Since even the hardest pencil is still made of graphite (Mohs hardness of 1-2) it seems possible to me anyway, the even a 9h coating (as measured by the pencil test) is really, comparably, at most a 2h hardness and thus quite easily scratched. Much better – “10h coating” here I come…just be sure to not run your 2h fingernail across it as you might end up a bit disappointed. Is that reasonable or am I totally whacked in my thinking?